In a bid to support prospective foreign investors expand their international growth ambition in the UAE, its third largest emirate, Sharjah, has announced the launch of a digitally robust business facilitation initiative, the Investors Services Centre. The emirate’s investment and development authority, Shurooq, has partnered with Injazat Services, to develop this high-end facility to offer an exhaustive list of fully integrated business consultancy services, which will specially benefit new players on the UAE turf. The office will serve as a key access point for global business owners and investors in Sharjah, and serviced by a highly trained staff, will play an integral role in facilitating high-level and mid-level investments across a variety of sectors within the emirate. Through this service centre, investors will be directly connected to the emirate’s regulatory entities, and will be able to access all departments responsible for issuing commercial licenses and conduct other official dealings required to set up a business in Sharjah, allowing transparency, quality and efficiency. Shurooq officials have said that the objective behind the establishment of this service centre is to add to the business attractiveness of Sharjah by allowing investors to take advantage of the power of a state-of-the-art data and information centre without actually having to build one themselves. 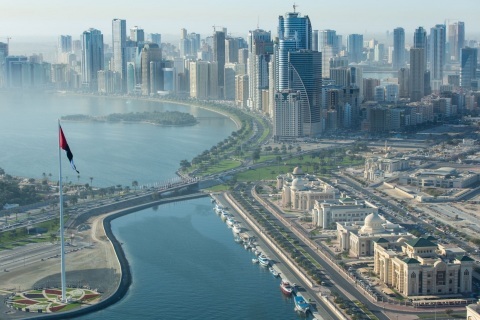 Sharjah’s economy has been diversifying rapidly with steep growth being experienced by non-oil sectors like tourism, healthcare, transport and logistics, light manufacturing, publishing and others. Foreign direct investments into the emirate’s economy grew to $1.63 billion last year.